New Maori business accelerator programme Kokiri launched in Hamilton on 12 February 2018. A new Kōkiri accelerator programme kicking off this week features 10 ambitious startups with products including a process that turns the environmentally damaging didymo into fabric, a digital tool for Māori millennials learning Te Reo Māori, a system providing complete visibility of the honey supply chain, and a new way to find owner-operated eateries. 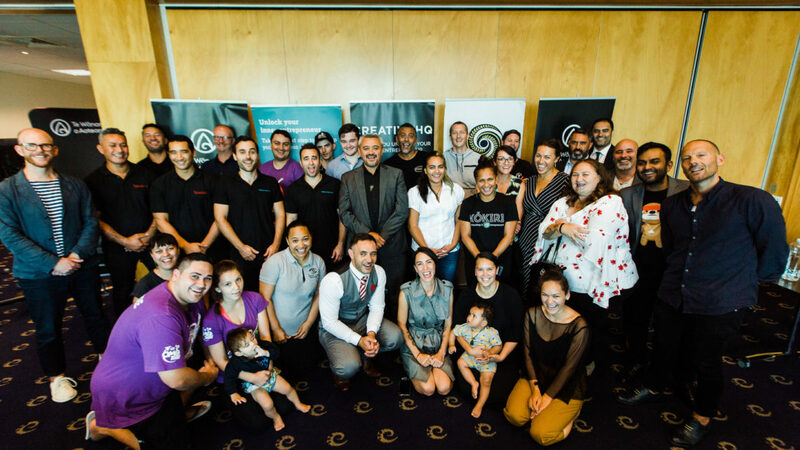 The country’s first business accelerator programme for ambitious Māori entrepreneurs was launched with a pōwhiri in Hamilton on Monday (February 12). 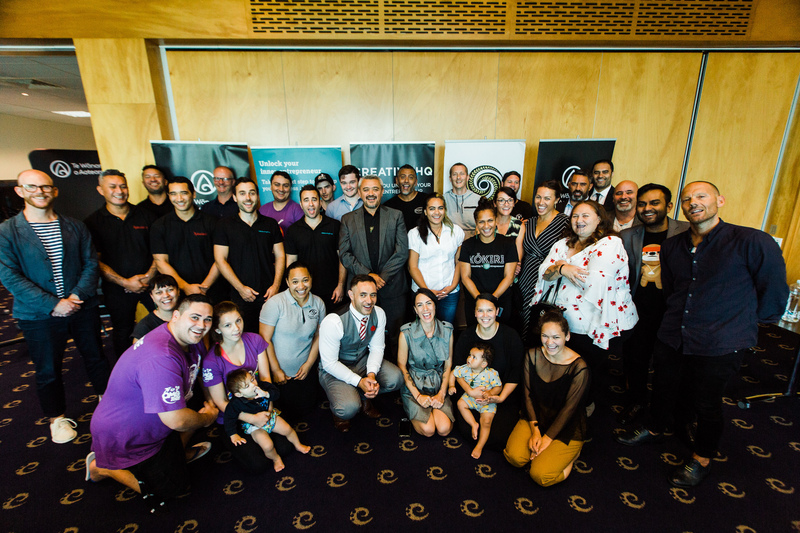 Callaghan Innovation and Te Wānanga o Aotearoa have teamed up with Creative HQ, Robett Hollis, Crowe Horwath and Ernst & Young Tahi to create Kōkiri, a unique business accelerator dedicated to speeding up the development of fledgling Māori businesses. Ten promising, young start-ups from across Aotearoa have been selected to participate in the four-month Kōkiri programme, based at Te Wānanga o Aotearoa’s Mangakōtukutuku campus in Hamilton. Kōkiri participants will receive education, funding, mentoring, networking opportunities and engagement with leading business figures during the course of the programme, which runs until June. The teams selected for Kōkiri were chosen by a panel, comprised from the programme partners, through a competitive process in late 2017 (teams and description below). Te Wānanga o Aotearoa Innovation Development Group Director Aisha Ross says prominent business figures will provide intensive mentoring and insights for those participating in Kōkiri. “The industry figures we are engaging with on this programme have been selected because of their experience in delivering successful and recognised business accelerator programmes,” Aisha says. Aisha says the aims of Kōkiri align with Te Wānanga o Aotearoa’s mission of tauira success. He says Te Wānanga o Aotearoa is the optimal provider for the programme having already produced hundreds of small business graduates who have established successful businesses. Government Innovation Agency, Callaghan Innovation, supports a number of accelerator programmes helping startups with the tools, networks, and capabilities they need to turn their idea into a commercial reality. 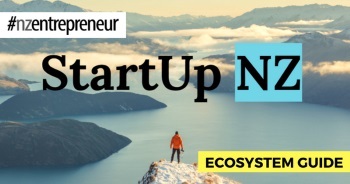 Start-Up Manager, Elena Higgison, says Kōkiri provides this but with a unique twist for budding Maori entrepreneurs. “Lots of people have great ideas, but commercialising those ideas and getting them to market is the difficult part. Kōkiri is unique because it incorporates Māori values and principles into a business accelerator programme. Aisha Ross says Kōkiri also recognises that Māori have strong links to place, which may have been a barrier to participation in mainstream accelerators. Kōkiri is an initiative funded through the Māori Innovation Fund, in support of the Enterprise pou of He kai kei aku ringa, the Crown-Māori economic development strategy. Akudos is a cloud-based awards management system designed to streamline the awards process from beginning to end. It has key pilot customers secured for 2018, and its goals stretch far beyond Aotearoa. Arataki Systems builds solutions that provide unique cultural, geographical, environmental and historical information for people “in location”. Arataki enables users to receive information about sites of cultural significance using a custom mobile application and proximity technology. It currently has an operational system at Mauao and Mt Maunganui with 350+ platform downloads with no marketing. Biome turns didymo, the pest algae, into high-end fashion materials. These high-quality materials are produced sustainably and strive to improve the New Zealand environment. They are made in sheets which creates zero wastage in production, whilst also providing customers with a range of colours, textures, and patterns on our materials. Hikurangi Enterprises is researching bioactive extracts from plants, shellfish, and fungi to develop new medical and health products. It will be the first to take a New Zealand grown medical cannabis product to clinical trials. MovingPros makes it easy to compare multiple moving quotes from one place. They aspire to create a $1 billion business by helping to solve the transport and shipping inefficiencies in the residential moving space within New Zealand and globally. MovingPros has a committed network of 120+ moving companies across New Zealand and have serviced more than 6,500+ moving requests since launching. The goal is to provide Māori millennials with the digital tools and resources they need to learn, practice and grow in reo Māori. MYREO is creating a series of bilingual digital games and software targeted at school-aged students, but accessible to everyone, in a range of subjects including programming, data sorting, artificial intelligence, math, mythology, history and other STEM subjects. Kiwicode is a bilingual programming education game developed for the NZ education market. MYREO are also working on a tourism and marketing application and sporting registration app for two Māori organisations. ApiTrak is the first product from Origins Software. It is a cloud-based platform that provides complete visibility of the honey supply chain from land to end consumer. Origins have created a digital platform that enhances product data management that is a GS1 compliant “land-to-jar” traceability solution, combining leading edge technology with user-friendly interfaces. It minimises the opportunity for manipulation of honey data, simplifies disease management and increases food safety compliance. Papa Taiao has the vision to become a pan-Iwi youth enterprise enabler. Papa Taiao Earthcare works with rangatahi across Aotearoa and across iwi to guide them into a life focused on social, ecological, economic and cultural regeneration through enterprise in rural and urban communities. SeeCom provides sign language education programmes & resources to facilitate multiple communities who benefit from “hands on” learning. SeeCom is prototyping the world’s first digital interactive sign language game, a virtual game-based experience of learning sign language through means of interaction and movements in front of digital screens. This technology enhancement will track arm, body, hand and finger movements and sense the smallest movements. The Realness is the new way to find owner operated eateries without having to rely on review sites, advertising platforms, personal option sites, magazines and mainstream media. In a world where money or media can determine who is found first on Google, Demaris is creating a level playing field for owner-operators within the food industry and beyond.